9 months & up. 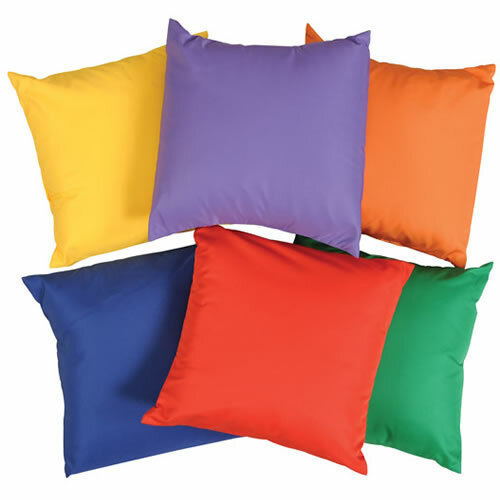 Add a splash of color to your classroom with these bright pillows. 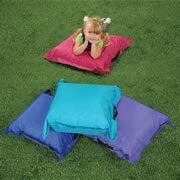 The pillows are made with a shredded foam stuffing enclosed in a water resistant, sewn-closed cover. 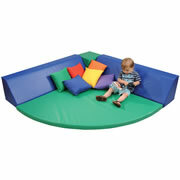 The poly/cotton chintz covers are washable.There are 6 pillows in the set and each one measures 12" x 12".